This packaging material can be produced with TechCorro™[F] VCI to provide corrosion protection for a range of metals. This packaging can be used where mechanical and corrosion protection are required. 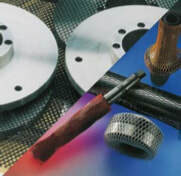 Supplied in rolls or cut-to-length pieces in a range of different diameters and colours.